With a high of 27 degrees and no shade this was one very hot and dry event. 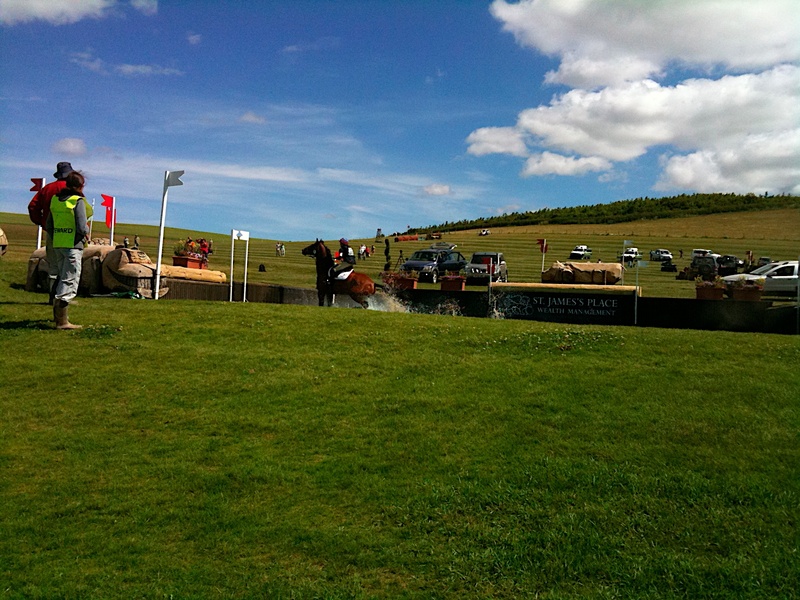 How Barbury manages to battle these conditions is with the old established turf, that at least muffles the rock hard ground on this chalk down land. There’s so much to love about this event, and considering it’s relatively new you have to be a little forgiving over the things to dislike about the event. Running this event here proves that you don’t need a grand stately home setting to host a great event that draws in the public. A 3 day programme that included Novice, CIC** and CIC*** provided the perfect blend of competition to satisfy all the audience demographics. I wouldn’t call this an international event yet, but it does have a number of ingredients that could make it so. TV coverage of the event would be so much cheaper to produce than say Badminton or Burghley, needing far fewer cameras to cover the cross country coverage. The Novice here is quite a stiff track and you need very fit horses to cover this terrain. 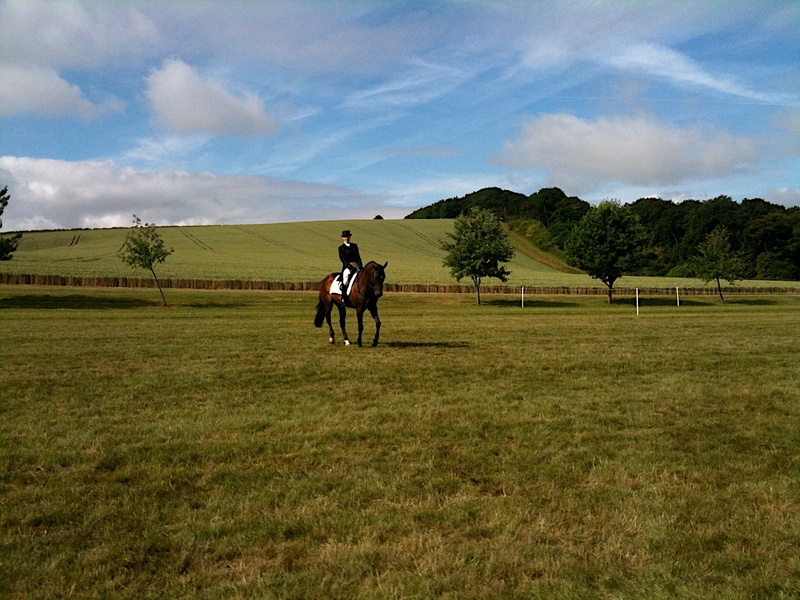 The novice dressage is held well away from the main event site down on a grass gallop, which gives you a really nice surface and the walk through the fields is breath-taking. They do also provide a shuttle buggy service for the army of supporters, which is a god-send. 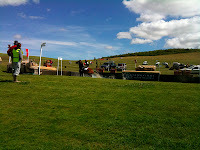 One of the CIC** sections was also run down here with separate warm up (see video of Andrew Hoy’s leading test), and all worked really well. 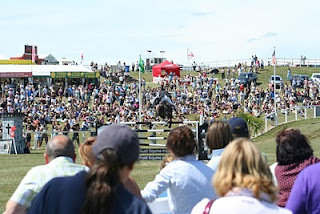 The novice showjumping is run on a good sized level piece of pasture inside of the all weather gallops, which is more than can be said for the CIC** jumping that held on a slope above the main area, with the smallest warm up area I have seen at an event. 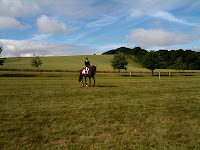 I didn’t really find enough time to follow the novice competition closely, but did manage to video one or two riders on the cross country as I walked the CIC** course (see my video round up part 1 below). 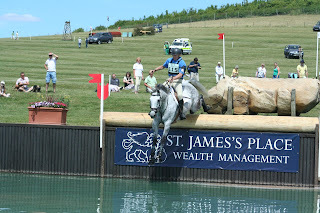 In the CIC** Andrew Nicholson won one of the sections, and Ruth Edge managed to pick up the other section after the leader, Andrew Hoy, had an uncharacteristic run out on course. The 3 star was won by Nicola Wilson on Opposition Buzz, and I’m sure she will be trying to talk the selectors round to reconsidering her challenge for a place on the WEG team, and whilst I wouldn’t want to take the spot light away from Nicola, for me the rising star of this event was Emily Llewelyn, less than 1 point behind her in second and 10th on her other horse. If the selectors aren’t talking about her seriously for 2012 then we need to consider how we select the selectors. 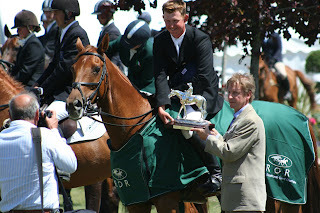 Apart from the 3 main classes, there was also an ex-racehorses class run on IN lines with prizemoney of £1,500 to the winner (that’s a lot more than most CIC**s), plus a fantastic trophy. This class came about thanks to the National Trainers’ Federation and their wish to support thoroughbreds in second careers, and what a great way to do it. 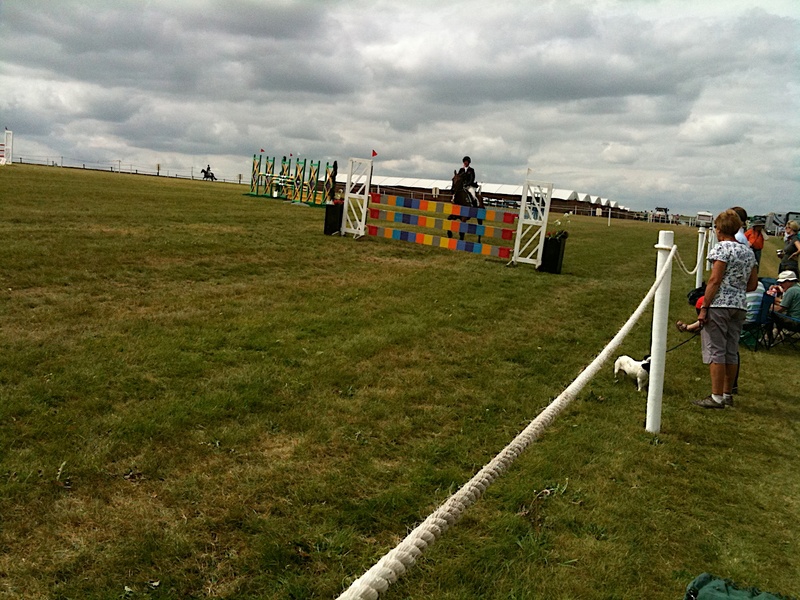 An eventers puissance was also run in the main arena, just prior to the start of the main cross country attraction, won by Paul Tapner and after a little encouragement from the commentary maestro, Mike Tucker, there were plenty of oooh’s & aaaah’s from an engaged and growing crowd. When you’re asking the general public to pitch up and pay it’s important you have a good variety of activities to watch or have a go at. On Sunday there was plenty of other activities to entertain the public particularly the younger children, thanks to the inclusion of the “Wiltshire County Show”, and whilst I didn’t spend a great deal of time up here there were certainly plenty of families enjoying everything from sheep sheering demos to bouncy castles. This is a growing event, and one I hope manages to turn a profit soon so it can continue to grow and flourish. 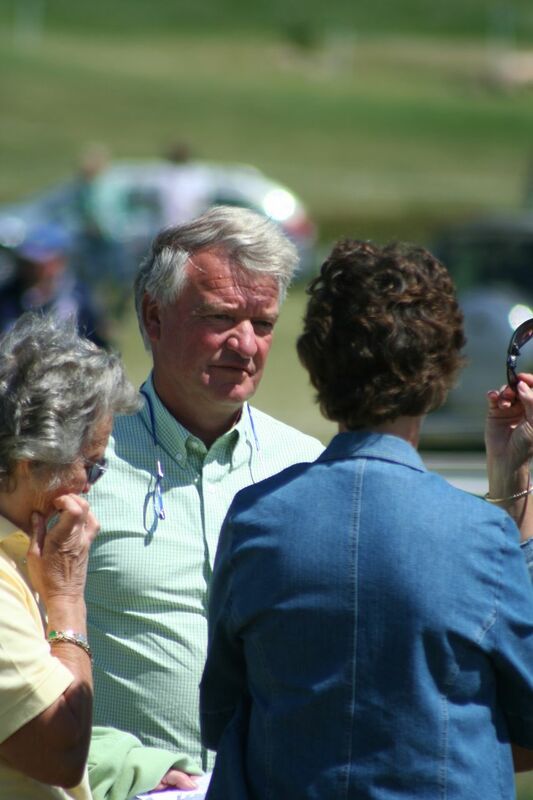 Whilst I have plenty of criticisms of it’s cross country course and position in the calendar, you can’t help but enjoy the event when you’re there. The fact it is just up the road from home is a welcome bonus. 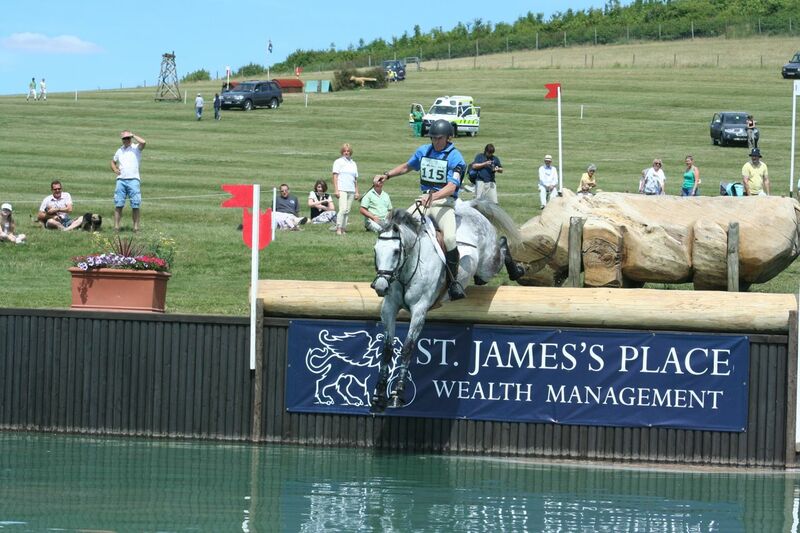 This entry was posted in Andrew Hoy, Andrew Nicholson, Barbury Castle Horse Trials, CIC**, Cross Country Course, Dressage, Eventing, Pippa Funnell, William Fox-Pitt. Bookmark the permalink.